In this paper, we investigate the disruptive effects of solar scintillation in Deep Space Networks (DSNs) and we applied Network Coded Cooperation in DSNs to improve throughput, robustness and security of the communication systems. Simulations illustrate the comparisons between direct links and NCC links for both Rayleigh fading channel and Rician fading channel models. The effects of solar scintillation are modelled from previous studies and the outage probabilities of these links are given graphically for all channel types. Besides the computer simulations in MATLAB, proposed system model is implemented with Software Defined Radio (SDR) nodes and the error performances are illustrated on bar charts with Bit Error Rates (BER) to Signal-to-Noise Ratios (SNR). As a result, it is seen that NCC system decreases the outage probabilities of that communication system, improves error performance, and also decreases the transmission time between transmitters and receivers. W. Chen, L. Hanzo, and Z. Cao, “Network coded modulation for two-way relaying,” in 2011 IEEE Wireless Communications and Networking Conference, March 2011, pp. 1765–1770. T. Ho and D. Lun, Network coding: an introduction. Cambridge University Press, 2008. J. N. Laneman, D. N. C. Tse, and G. W. Wornell, “Cooperative diversity in wireless networks: Efficient protocols and outage behavior,” IEEE Transactions on Information Theory, vol. 50, no. 12, pp. 3062–3080, Dec 2004. Z. Ding and K. K. Leung, “On the combination of cooperative diversity and network coding for wireless uplink transmissions,” IEEE Transactions on Vehicular Technology, vol. 60, no. 4, pp. 1590–1601, May 2011. S. T. Basaran, G. K. Kurt, M. Uysal, and I. Altunbas, “A tutorial on network coded cooperation,” IEEE Communications Surveys Tutorials, vol. 18, no. 4, pp. 2970–2990, Fourthquarter 2016. A. El Gamal and Y.-H. Kim, Network information theory. Cambridge University press, 2011. 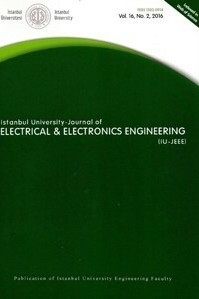 O. Çalik, T. Ensezgin, B. Öztaner, S. Gökçeli, S. T. Başaran, and G. K. Kurt, “Network coded cooperation in delay tolerant networks,” in 2016 National Conference on Electrical, Electronics and Biomedical Engineering (ELECO), Dec 2016, pp. 627–631. NASA and Jet Propulsion Laboratory, "History," in Deep Space Network. [Online]. Available: https://deepspace.jpl.nasa.gov/about/history/. Accessed: Feb. 28, 2017. H. Li, J. Gao, M. Yang, G. Lv, M. Li, and Q. Guo, “Study on ar4ja code in deep space fading channel,” in 7th International Conference on Communications and Networking in China, Aug 2012, pp. 150–154. J. H. Yuen, Deep space telecommunications systems engineering. Springer Science & Business Media, 2013. Jet Propulsion Laboratory and NASA, "NASA facts - Deep Space Network,". [Online]. Available: http://www.jpl.nasa.gov/news/fact_sheets/DSN-0203.pdf. Accessed: Feb. 28, 2017. Q. Li, L. Yin, and J. Lu, “Application of ldpc codes for deep space communication under solar scintillation condition,” Earth, vol. 1, no. 2L, p. 0R, 2011. S. Hu, “Scintillation effects on deep space telecommunication links through solar corona,” in 2009 5th International Conference on Wireless Communications, Networking and Mobile Computing, Sept 2009, pp. 1–4. Y. Feria, M. Belongie, T. McPheeters, and H. Tan, “Solar scintillation effects on telecommunication links at ka-band and x-band,” The Telecommunications and Data Acquisition Progress Report 42-129, January–March 1997, pp. 1–11, 1997. M. D. Renzo, M. Iezzi, and F. Graziosi, “On diversity order and coding gain of multisource multirelay cooperative wireless networks with binary network coding,” IEEE Transactions on Vehicular Technology, vol. 62, no. 3, pp. 1138–1157, March 2013. P. Shaft, “On the relationship between scintillation index and rician fading,” IEEE Transactions on Communications, vol. 22, no. 5, pp. 731–732, May 1974. B. J. Choi and X. Shen, “Distributed clock synchronization in delay tolerant networks,” in 2010 IEEE International Conference on Communications, May 2010, pp. 1–6. ISNAD Ensezgin, Tuana , Gökceli, Selahattin , Tedik Başaran, Semiha , Karabulut Kurt, Güneş . "Performance Analysis of Deep Space Networks with Network Coded Cooperation". IU-Journal of Electrical & Electronics Engineering 17 / 2 (July 2017): 3319-3325.